In a cosy full sipper style, the ladies Justine slippers by House of Slippers allow your feet to be surrounded with comfort. The soft textile lining hugs your feet with all the warmth you could dream of keeping your toes toasty and cosy on cold nights whilst the memory foam insole cushions every step you take making it feel as though you're walking on clouds. 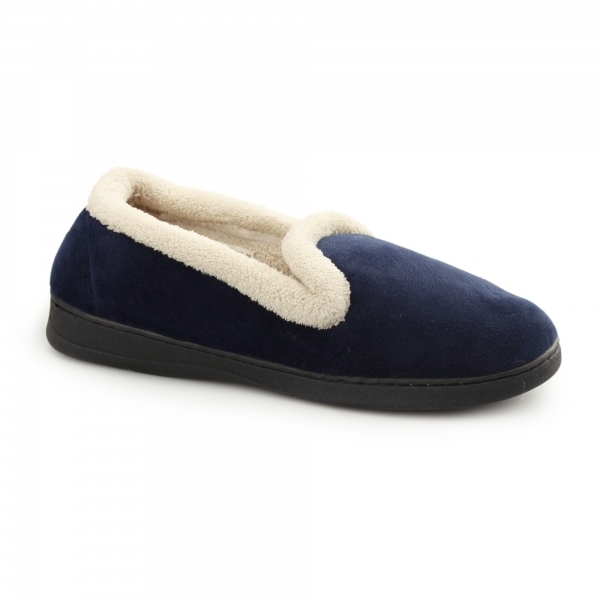 Look as good as you feel with the super soft textile upper providing a sleek and stylish finishing look for the slippers. The perfect slippers to come home to after a long day and enter a world of relaxation. These slippers are very comfortable and true to size. Really good quality for the price,and at last I have a pair of slippers that keep my feet warm !